Owned by a religious body, Mountain of Fire Ministries FC which has her headquarters in Lagos has managed to build on their commendable performance in their first season in the NPFL. The Ikorodu based club gained promotion in August 2015 and have remained in the NPFL since then. 2017 season was their best so far as they narrowly missed out on winning the league. They secured a continental ticket for themselves after their most consistent season in the NPFL in 2017. Towards the end of the 2017 season they exported Stephen Odey to a club in Europe(FC ZURICH) and they also boast of classic players like Sikiru Olatunbosun among several others. The Nnewi based club was previously known as Gabros International owned by Gabriel Chukwuma before it was sold to Nigeria's oil magnate Ifeanyi Uba in 2015. The club is believed to have signed the most expensive player in the NPFL history who was also rumoured to be the highest paid. Recently the club also moved to their own ground. In the few years of acquisition, the club won the federation Cup, signed up a number of foreign player and reasonably added a bit of glamour to club football in Nigeria. They ranked among the most consistent team in the league since 2015. GO ROUND FC obviously looked like a replacement for the relegated ABS FC of Ilorin(also privately owned). This Rivers State based club appeared to be ruthless in their pursuit last season in the NNL. 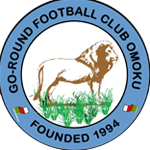 Go Round is owned by Felix Obuah and the club will be hosting every other clubs this season from Krisdera Hotel Stadium Omoku.